A group of church leaders is taking on the maker of Smith & Wesson in a shareholder meeting, hoping to reprise their earlier success with Sturm, Ruger. This battle will be tougher, but winning isn’t really the point. More help could come from unexpected places – like Silicon Valley. 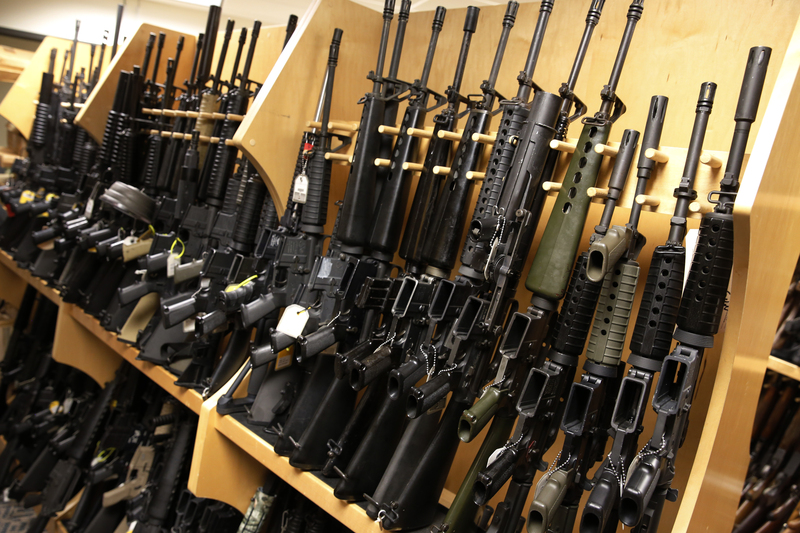 AR-15 rifles line a shelf in the gun library at the U.S. Bureau of Alcohol, Tobacco and Firearms National Tracing Center in Martinsburg, West Virginia December 15, 2015. A group of shareholders in American Outdoor Brands will ask investors on Sept. 25 to vote on a proposal that would force the maker of Smith & Wesson guns to provide greater disclosure over the way its products are used in violent crime. The motion put forward by the Sisters of the Holy Names of Jesus and Mary, U.S.-Ontario Province, along with 10 other signatories, would require AOB to publish a report by February outlining how it monitors violent incidents involving its firearms, its efforts to produce safer guns and products, and how gun violence affects its reputation and finances. AOB argues that the report would amount to an “unnecessary undertaking and expense” and has urged shareholders to block the proposal. A similar motion passed at Sturm, Ruger in May, garnering the support of investment groups Blackrock and Vanguard. They collectively own around 27 percent of the shares at Sturm, Ruger, according to Thomson Reuters data, and a combined 20 percent at AOB.